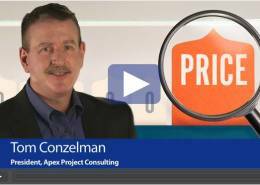 In this video, Tom Conzelman, PMP, demonstrates that the low bid-only procurement is risky and wrong. Low bid only causes vendors to perform to minimum specifications; not client requirements. The low bid-only process sets up an adversarial relationship.While the nominal price may be minimized, so is vendor motivation to perform. Architectural and engineering mistakes are passed along to the client. For more on this topic and how to protect yourself and your company from this mistake, check out this article here. 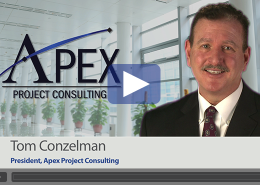 Does Your Project Manager Create an ROI?